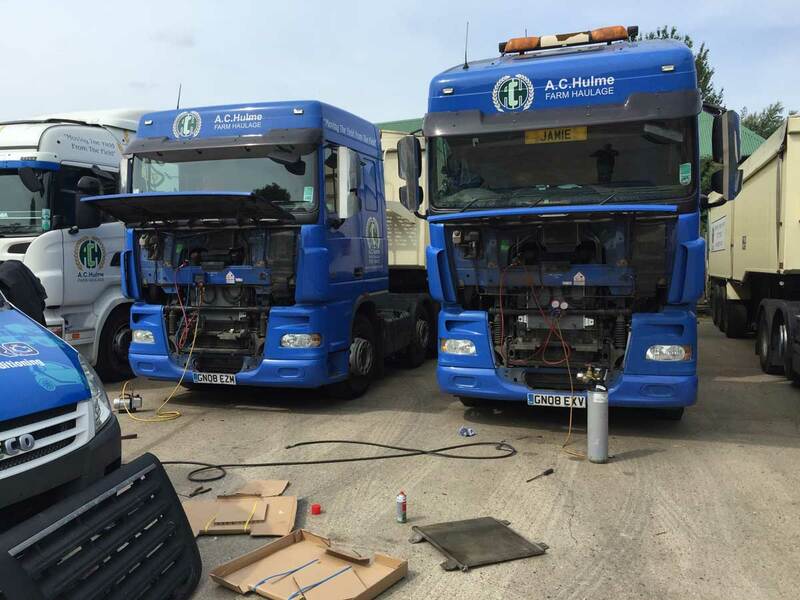 For heavy trucks and psv we provide a AC servicing for a number of different fleet company’s. Mostly we would be asked to find a leaking component and then after repair to return and evacuate, recharge with refrigerant and test the system. Sometimes it would be a simple task of degassing the AC system to allow the removal of the condenser in order to replace a water radiator and then to evacuate and recharge after the repair was finished.